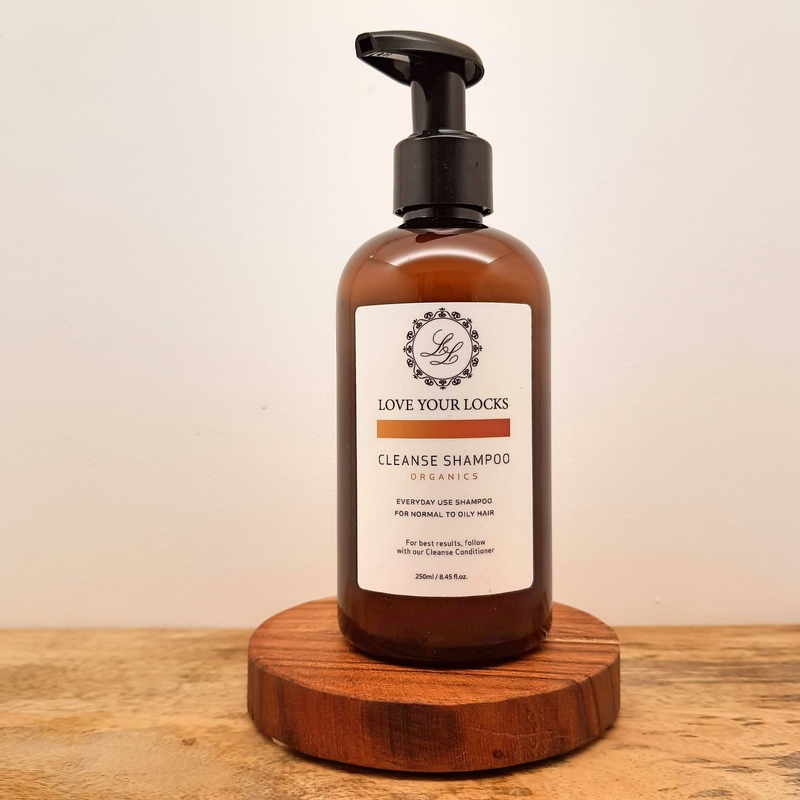 Love Your Locks Organics Cleanse Shampoo gently cleanses your hair, instantly delivering a smoother texture and a cleaner, fresh feeling. Our unique formula ensures the removal of product build up whilst its gentleness allows for continual, everyday application. We recommend this for customers who have uncoloured, normal and fine hair. For best results follow with our Cleanse Conditioner. INGREDIENTS Aqua, Tetra-Sodium EDTA, Sodium Cocoyl Isethionate (Granuals), Disodium Lauryl Sulphosuccinate (Tensomild HO26), Sodium Lauryl Sarcosinate, Polyquaternium-7, Castor Oil, PEG-7 Glycerylcocoate, Panthenol, Keratin (Hydrolised), Germal Plus (Canpres DU-Plus Liquid) Guar (Conditioner) Gum, Mica Pearl White, Cocamidopropyl Betaine (30%), PEG-150 Pentaerythrityl Tetrastearate, Argan Oil*, Macadamia Oil*, Glycerin*, Lavandula Angustifolia (Lavender) Extract*, Mentha Piperita (Peppermint) Leaf Extract*, Rosemary (Rosmarinus Officinalis) Leaf Extract*, Hydrolyzed Brazil Nut Protein*, Hydrolyzed Wheat Protein, Blonde Woods & Cashmere. * Certified Organic Ingredients. Product formulated and packaged in Australia. All of our hair care products are produced free from sulfates, parabens, ethoxylates, paragons, propylene glycol, petrochemical cleansers, silicones, phthalates, DEA and artificial colours. Products not tested on animals.